We have the Nano SRT! Part II of our Muscle Testing class will take place Saturday, April 28 from10am to 12pm. Mark your calendars and plan to be amazed at all you will learn at this informative session, taught by Dr. Candice. Make your reservation today! May flowers! And new blessings! Join us for a Blessingway in support of Dr. Candice as she prepares for her soon-to-be born baby boy. Following the Muscle Testing 102 class on April 28, we will be offering blessings and support to Dr. Candice. Please arrive at 1pm. Your presence is present enough. RSVP by April 13. Let's show Dr. Candice how much we love her! Call Shan for details. All Aboard the Meal Train! If you are desiring to help Dr. Candice and her family after baby #3 is born later this Spring, we invite you to join the Meal Train that is being set up. The greatest way to show your support is by providing a meal for the family. Please let Shan know asap if you are interested and she will pass along your email to the Meal Train coordinator. Thank you in advance for your kindness! April is here and we have some "egg-citing" events and products you should know about. Muscle Testing 102 will be held this month and we have some cleansing specials to tell you about, including D-Tox and Total Systemic D-Tox by Nutri-West and Isagenix's newest cleanse, Cleanse for Life. Check out the rave reviews that the new Nano SRT system is getting! Read on for more. April's health focus from Nutri-West is detoxification, which simply put, is ridding the body of toxins that have built up. We are offering both D-Tox and Total Systemic D-Tox supplements from Nutri-West for 10% off this month. Almost everyone can benefit from a good spring cleanse--which one is right for you? D-Tox: To support the bowel detoxification pathway, natural plant fibers such as apple pectin, rice bran, oat bran and red beet root are combined with supporting nutrients such as cleansing garlic and balancing chlorophyll, along with vitamin C and amino acids. This blend is helpful in treating numerous conditions, including hay fever, allergies, digestive problems, skin problems, asthma, autoimmune diseases, chronic diseases, overall ill health, fatigue, constipation, and liver problems. Total Systemic D-Tox: This comprehensive, technologically advanced product is specially formulated to optimize support of all the detoxification pathways. Nutrients help mobilize, bind, and remove toxins. From the liver and colon to the skin, lymph, lungs, blood and kidney, every eliminative organ system is addressed in an effort to contribute to a homeostatic, smooth-running system. This is an ideal nutritional supplement and a good choice for those undergoing a whole, systemic approach to detoxification, and for those who are predisposed to toxin buildup, especially indicated in food allergies, asthma, gastrointestinal complaints, multiple sclerosis, cancer, arthritis, multiple-chemical sensitivity, candida and heavy metal toxicity. 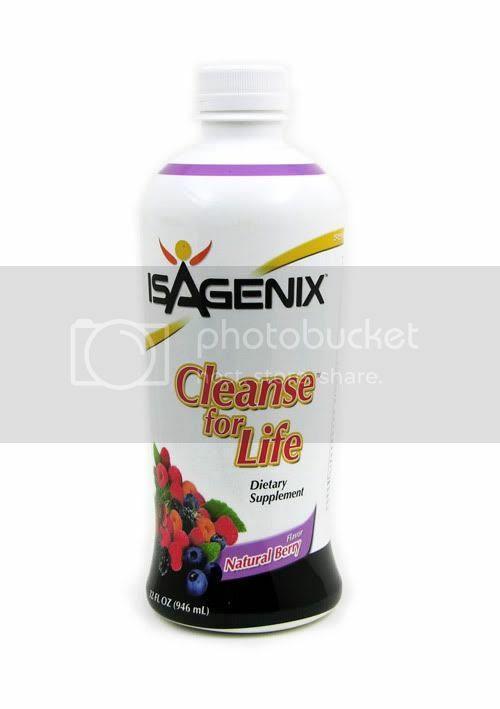 Isagenix has a new cleanse in its line of outstanding nutritional products. Cleanse for Life contains powerful antioxidants like bilberry, blueberry and raspberry, which help protect your body from free radicals and support cardiovascular and brain health. Unlike diuretics, Cleanse for Life is different because it nourishes the liver and promotes whole-body cleansing on a cellular level and helps the body better cope with stress and supports improved mental and physical performance and overall health. Cleanse for Life helps give your body the nutrition it needs to cleanse itself naturally! Nano SRT Receives Rave Reviews! "I have a 23 year old patient with severe allergies. After 3 treatments, she noticed her lungs were more open and clear. After her 6th treatment, she slept at her friends house with a cat. She used to wake up with severe allergy symptoms including stuffy/runny nose and hives all over her face. This time she woke up with the cate actually sleeping on her chest. She had no symptoms and felt great!" "A Multiple Sclerosis patient reported that she has 3 and 4 days at a time of not having to get up in the middle of the night to urinate whereby her usual routhine was going three times per night. She reported this after her Day 2 treatment." "I am so pleased with my results. After only one treatment, I have been able to sleep through the night for the first time in months. Amazing! Also, I am now off my stomach pills that I have taken for years, thanks to the wonderful education about probiotics. I have only been doing this for 2 months and it's been great! I can't wait to keep improving my energy." Our patients are wonderful! We thank you for your referrals of friends and family and for spreading the news about ACWC. Thank you for the privlege of serving you and helping you to meet your health and wellness goals!